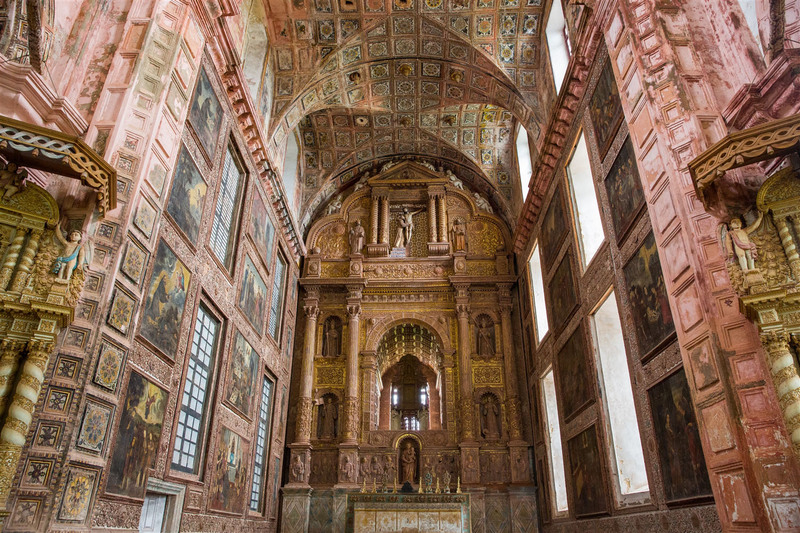 Possibly the most dominant building around the main square of Old Goa is the Church of St Francis of Assisi. This large white four-storey building was constructed in 1661 and has a wonderfully decorated interior. 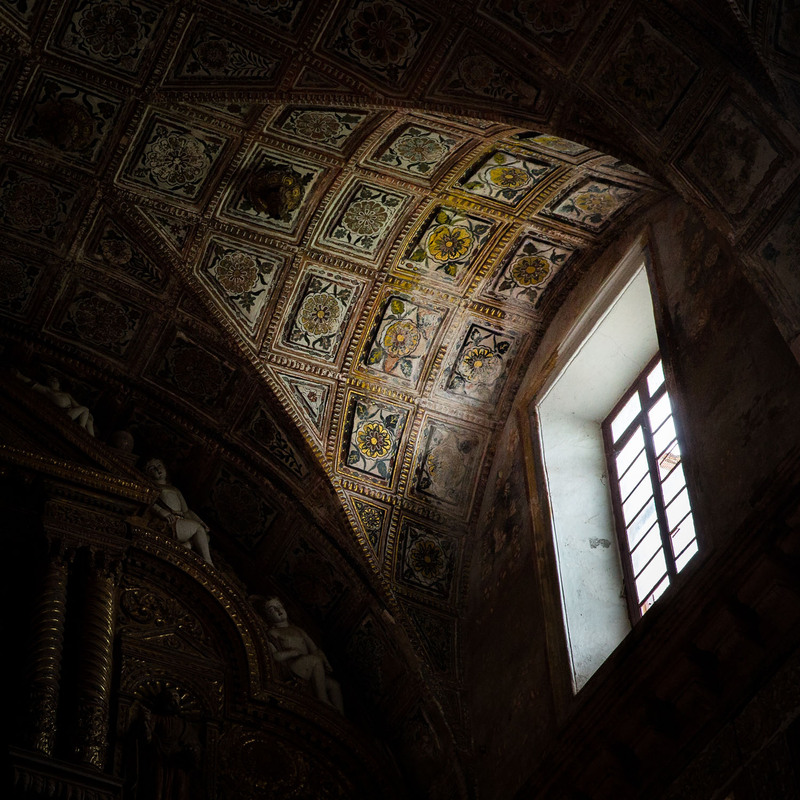 As with the Church of St.Cajetan, you’re left wondering why such a building is not the centerpiece of Rome. For me it’s quite a juxtaposition to experience architecture like this in India. The highlight for me was the superb floral painted panels on the rib-vaulted ceiling above the alter. 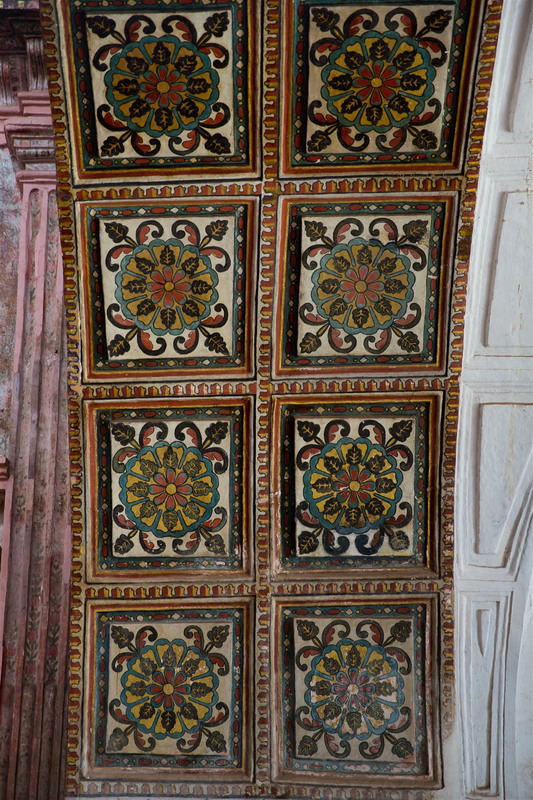 Clearly time has not treated this building well, but no great restoration of the ceiling has occurred either, what remains is largely what I image was first painted up there 350 years ago. The side walls have paintings depicting scenes from the life of St.Francis. 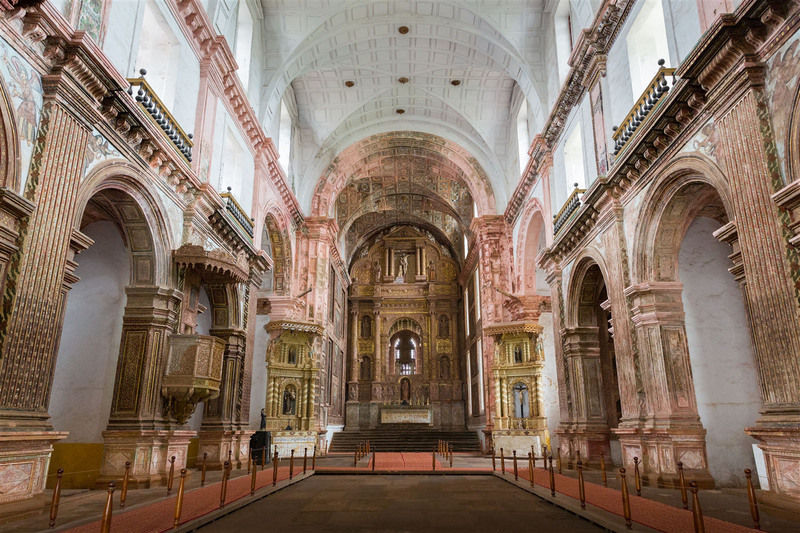 The origin of this church can be traced to eight Franciscan friars, who on their arrival in 1517, secured from the then Governor a few houses that belonged to a deceased Thanadar (a commander). There they constructed a church which was consecrated to the Holy Ghost in 1521. This was later pulled down and the present church was built on the same spot in 1661 retaining only the entrance of the earlier church. 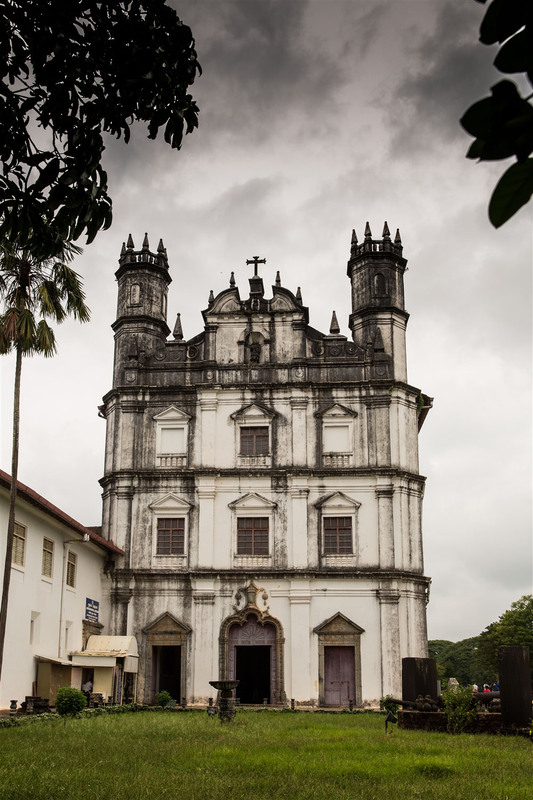 Next to the church is the archaeological museum with some interesting stone carvings that have been found lying around Old Goa, and further beyond is a path that leads to the Chapel of St.Catherine. This is Sagar, I’m from India, I have a newly open Travel Agency named ” Themes Vacation.Pvt.Ltd”, I wanted to promote Goa as a tourist destination. I wanted nice photographs which i found on your blog. I completely understand you a professional photographer and everything has its own cost. With due respect sir , would like to bring into your notice that my company is new started entity and i dont have a big budget to buy the Images of yours. But still would like to take a permission from you if you could allow me to use the couple of pictures from your blog. Namaste Sagar. I completely understand your situation. Drop me an email with your budget and how many photos you’d like, and we will take it from there.